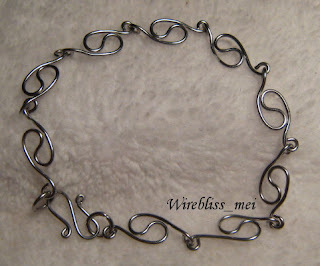 A simple s-link (extended) wire bracelet done over the weekend. Not that well done but like it for its simplicity. I used 20g wire for this one. A thicker wire would look better i guess. Thinking of 19g stainless steel wire or copper wire later.